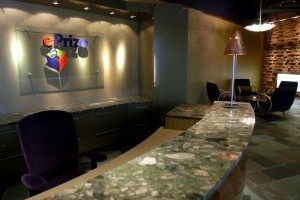 The Pleasant Ridge, MI-based digital marketing and engagement company ePrize announced this week that it has acquired Promotions.com. The terms of the deal were not disclosed, but the company did say it will retain 13 Promotions.com employees and fold them into its New York and Chicago offices. This marks the company’s fifth acquisition in two years and the third one in 2013 alone. Grey says that although ePrize is always looking at companies to see if they might fit as potential acquisitions, there are currently no additional acquisitions planned for this year. She says the company is aggressively snapping up competitors like Promotions.com as ePrize strives to offer “holistic engagement” with a special focus on mobile. The other two companies acquired by ePrize this year were Mozes and Bulbstorm, both of which were primarily innovating in the mobile sector. ePrize was founded 14 years ago by Josh Linkner (an Xconomist). What started as an online sweepstakes startup has grown into the largest interactive promotions agency in the world, providing digital marketing services for 74 of the top 100 brands with more than 400 employees in Pleasant Ridge, New York, Chicago, Nashville, Los Angeles, San Francisco, Phoenix, and Seattle. ePrize itself was acquired last summer by Catterton Partners. The terms of that deal were also undisclosed, though at the time, ePrize CEO Matt Wise told Xconomy that the company’s local backers, including Quicken Loans‘ Dan Gilbert, scored a healthy return on their investments.